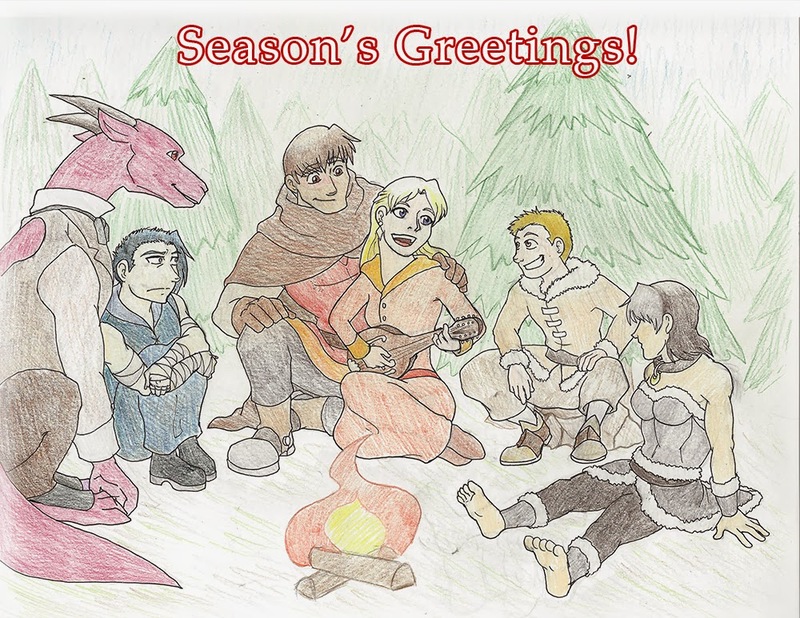 Happy Holidays from Fate Saga! Drax isn't hanging out here because he's not about to sit around a campfire singing Christmas Carols in freezing weather! 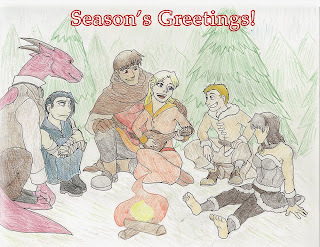 Happy Holidays and Merry Christmas to all! For this year's Fate Saga art, I decided to go back to traditional mediums because I had been wanting to play around more with it. Both drawings were sketched out with non photo blue pencil (which really isn't all that non-photo...), inked with Micron pens and colored with Prismacolor Colored Pencils. I almost always go with Digital Mediums because it's so much more forgiving, but despite the many mistakes prevalent it was still a lot of fun to do. I hope you like them!! With college ending for Winter Break and the immense Freelance Project reaching the end, I can finally resume Fate Saga on a semi-regular basis. More on Fate Saga's post schedule and new updates coming soon! It's slightly obvious here that Bianca's the only one who sees the outside world on a regular basis. 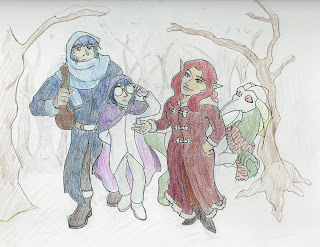 Not that Vektor, Armand and Lukas have never seen snow before, but they're usually holed up in the labs. Armand is also 5'10 tall which is a testament to how insanely tall Bianca and Vektor are. Bianca is taller than Cain when she wears heels.